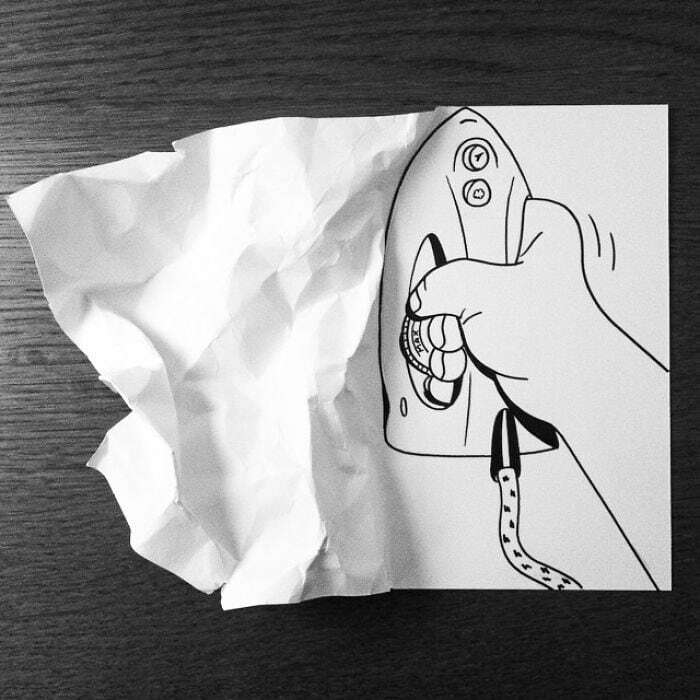 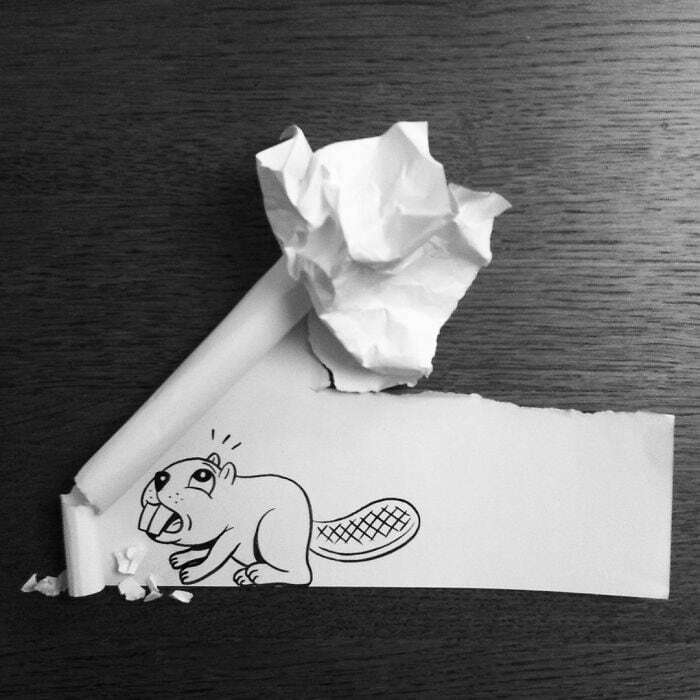 These clever black-and-white drawings by HuskMitNavn are lively 3D illustrations that literally jump off the page. 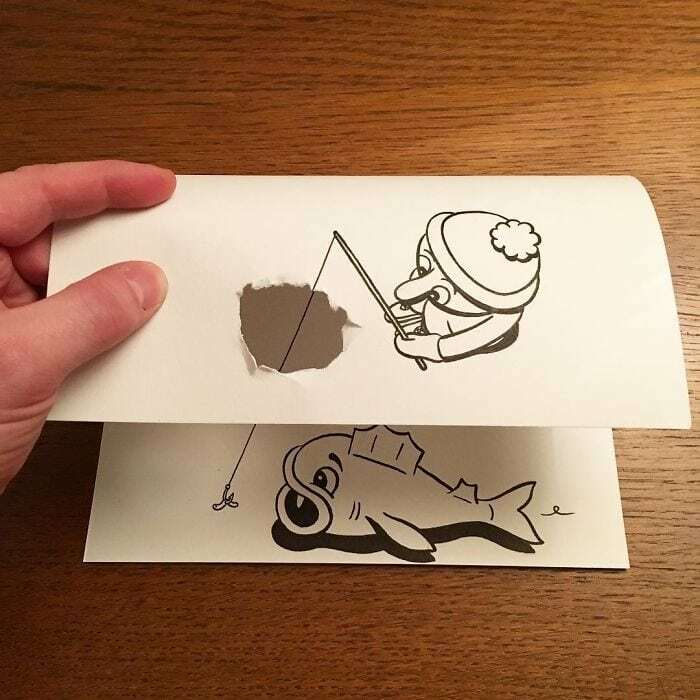 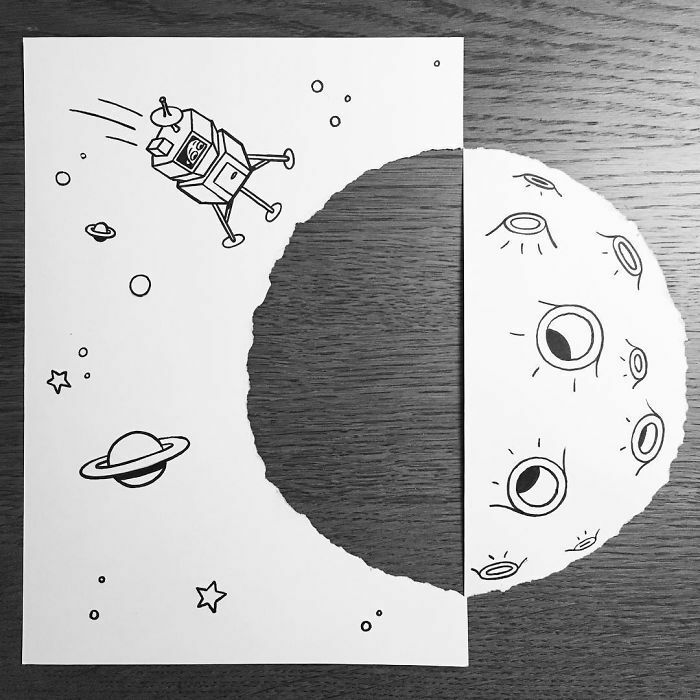 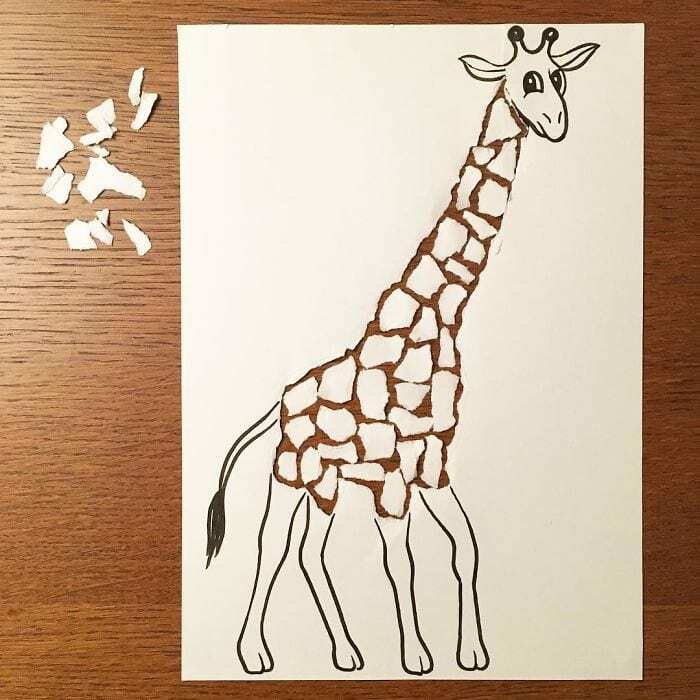 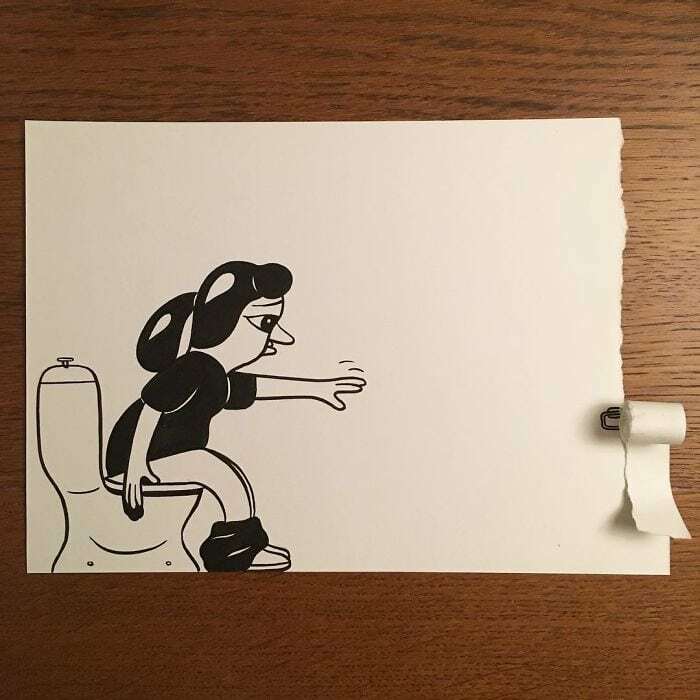 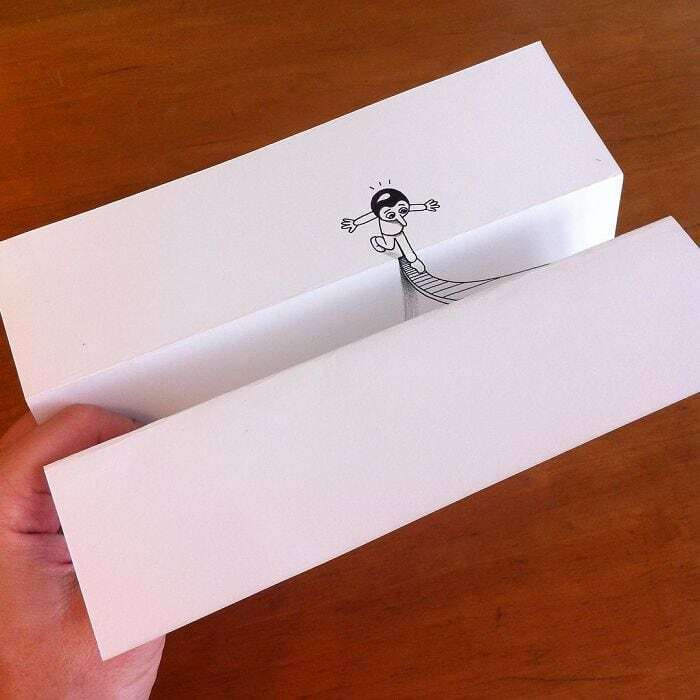 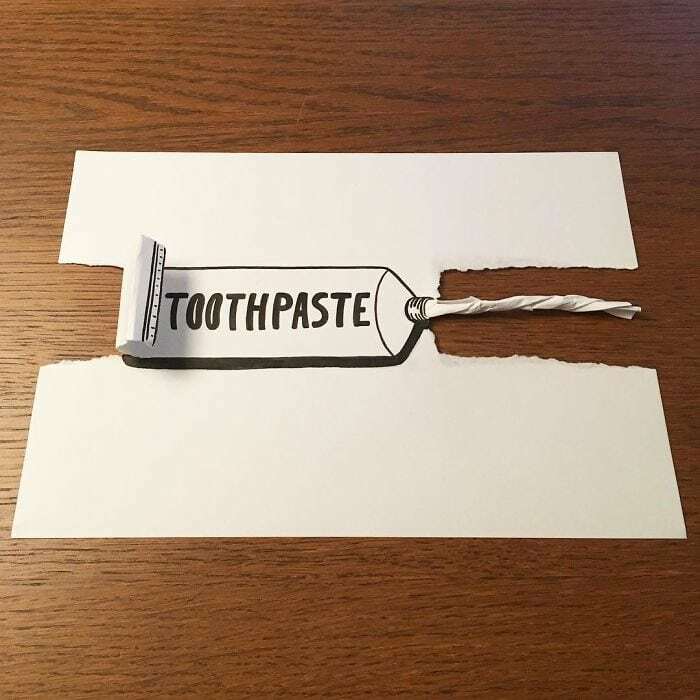 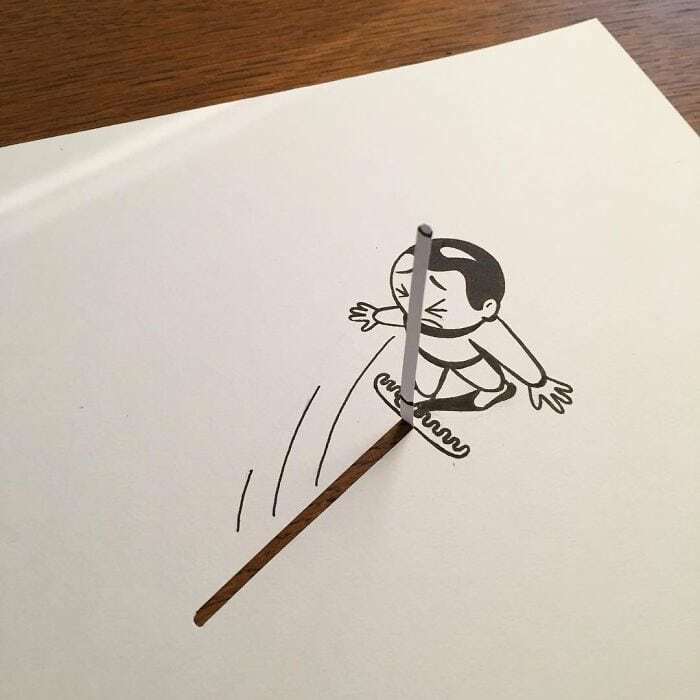 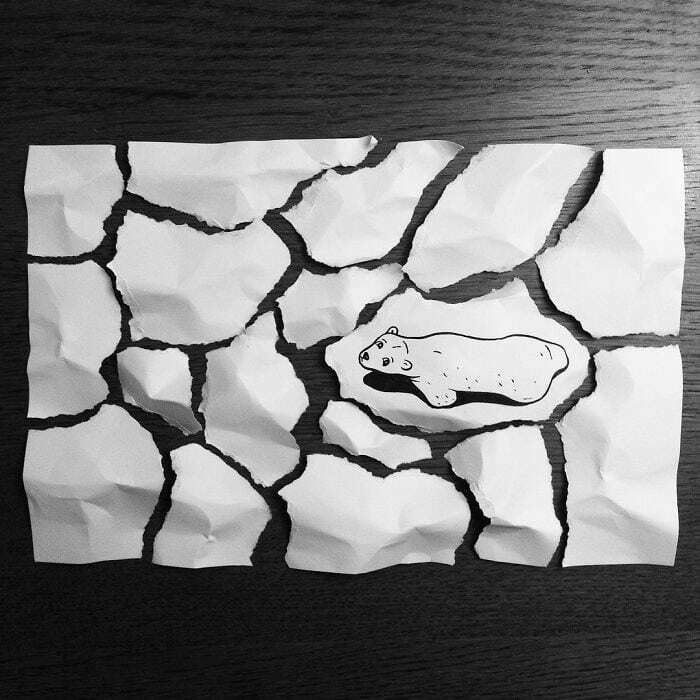 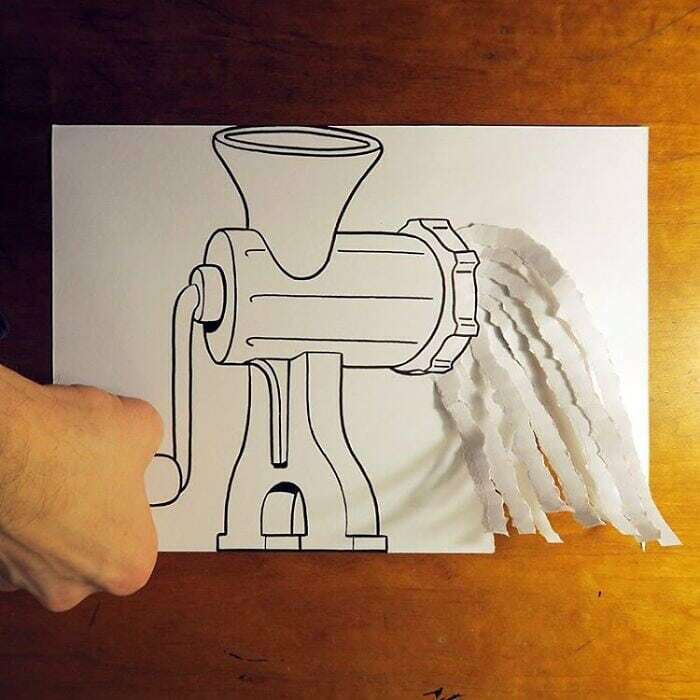 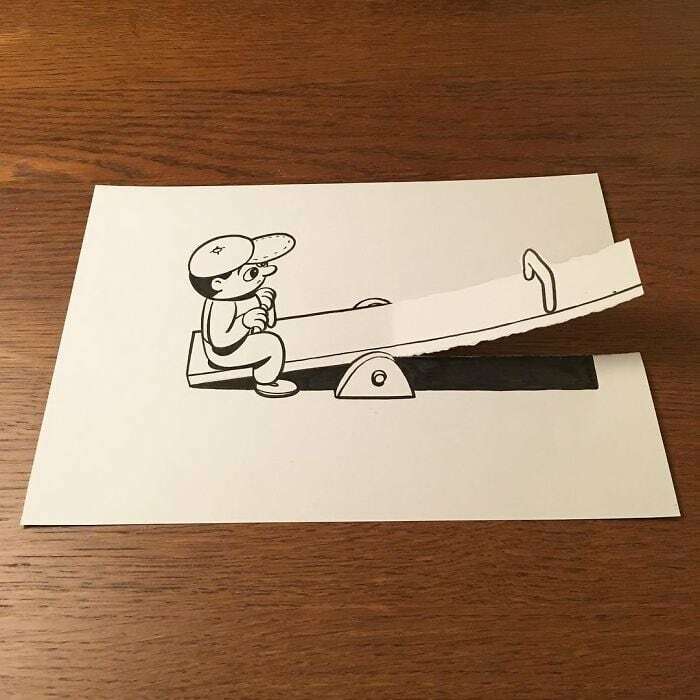 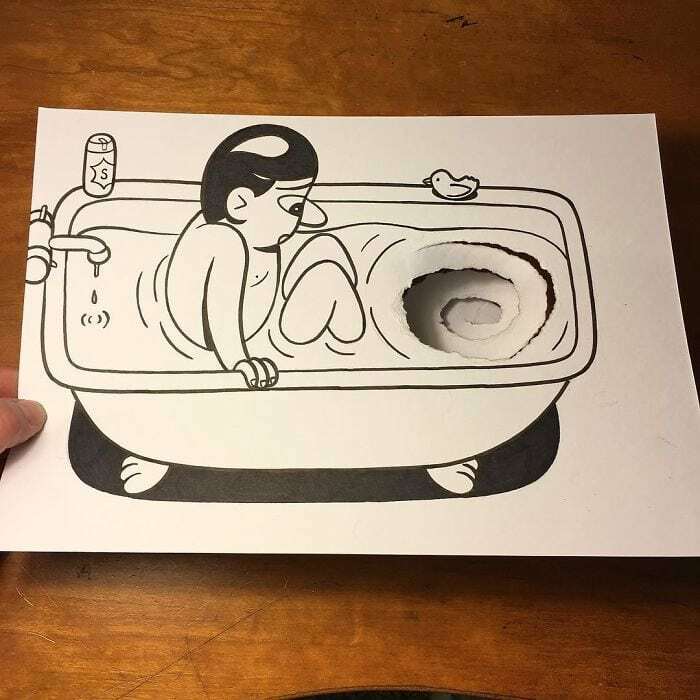 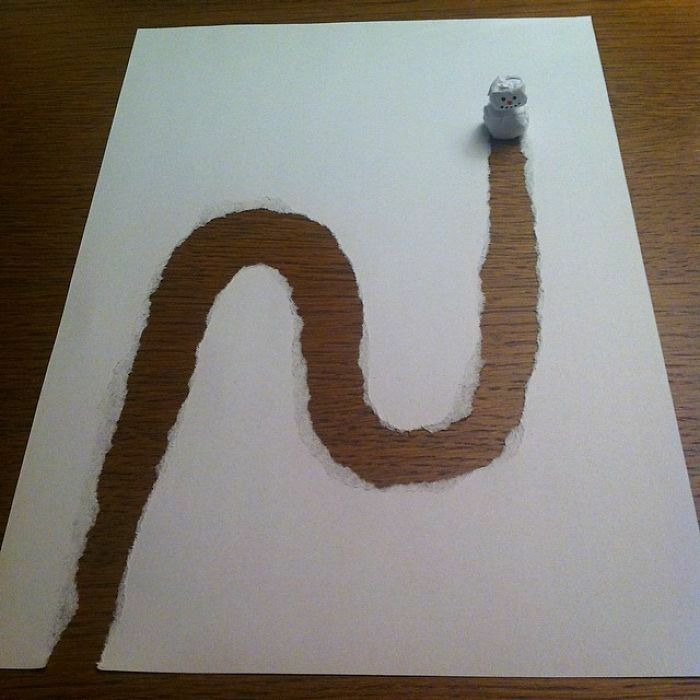 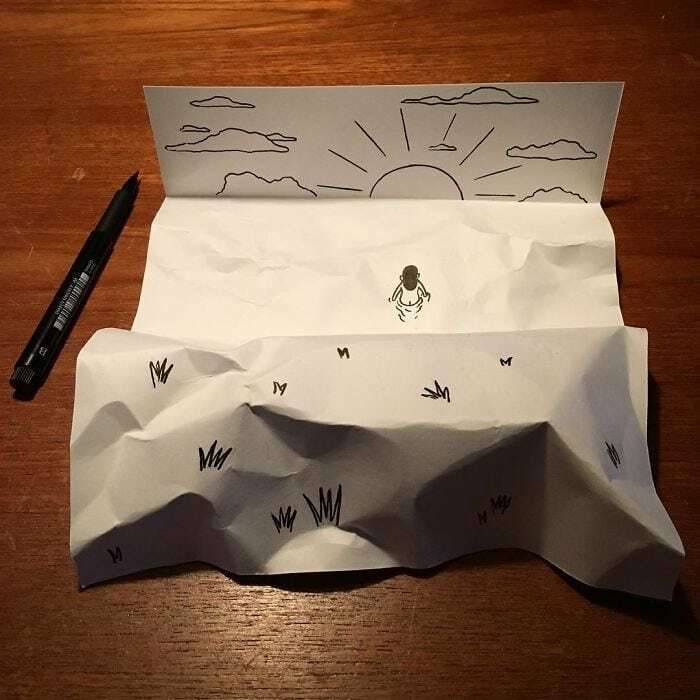 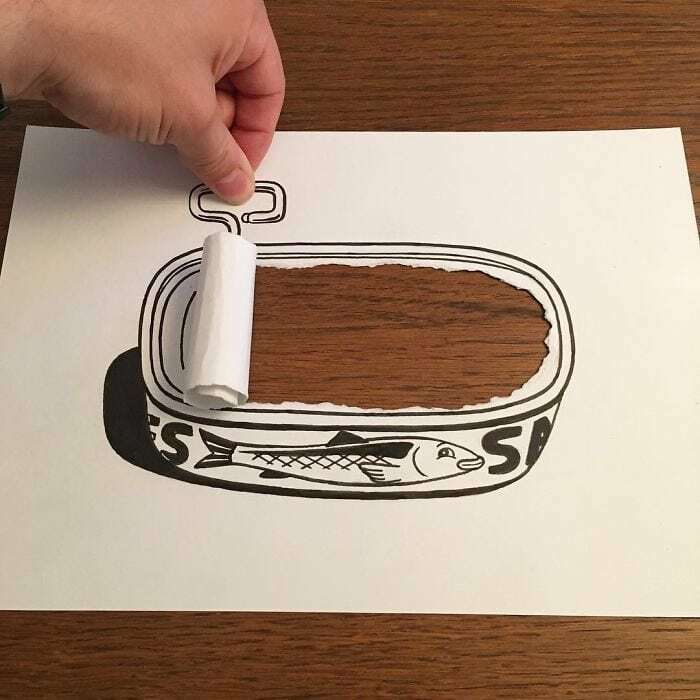 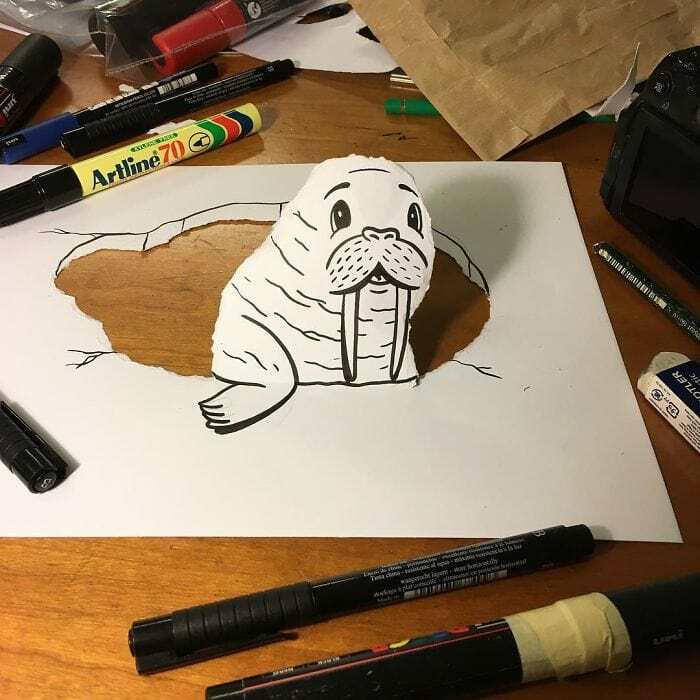 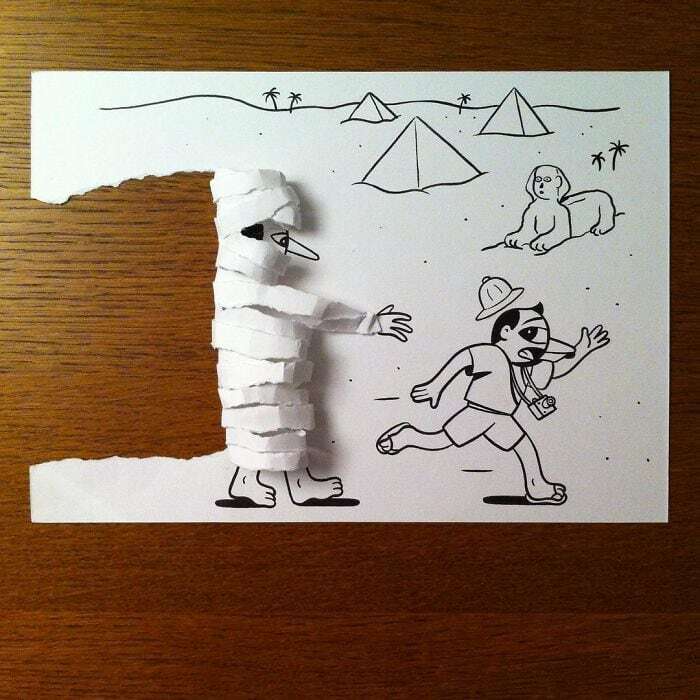 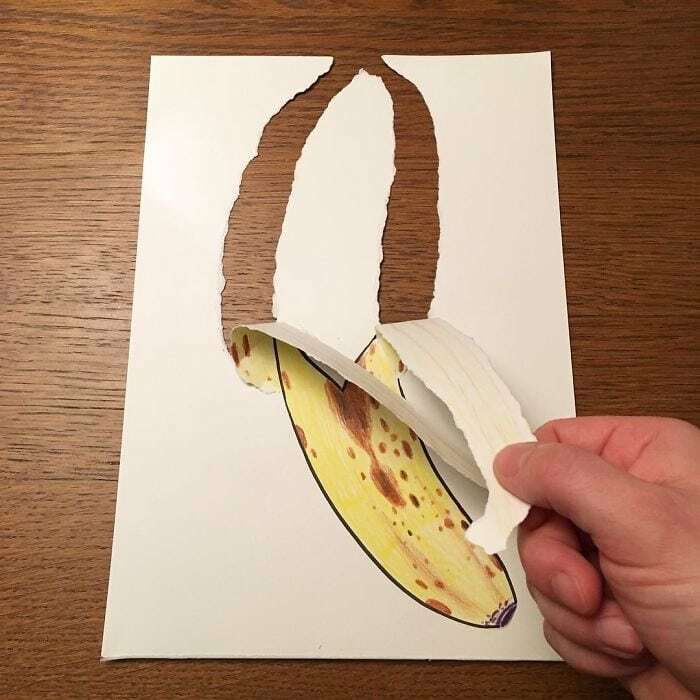 It’s a marriage between the 2D and the 3D world and works by manipulating the paper in such a way that simple illustrations such as opening a can of food and running out of toilet paper become instant cartoons. 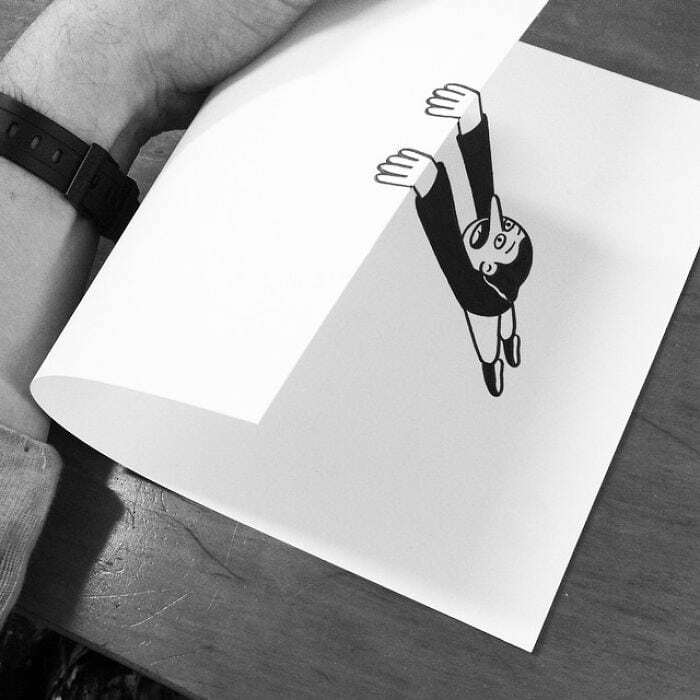 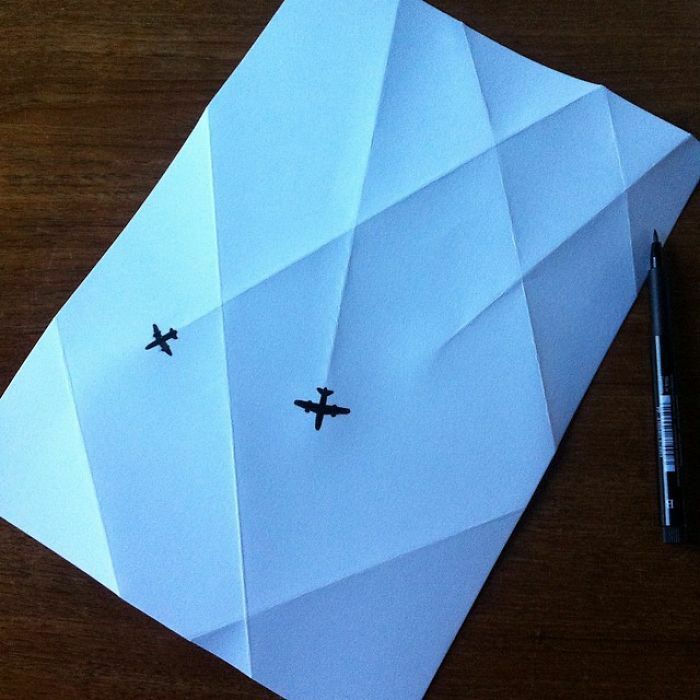 To see more of HuskMitNavn’s cool illustrations, check out the Danish artist’s website, Instagram, and Tumblr.